Push Mount Ties - Combines cable tie, mount and fastener into a single part. Used to attach bundles to another surface such as a flat panel. Anchor is easily pressed into a pre-formed hole and locks in place. Wings provide constant tension for a stable, secure and rattle-free installation. 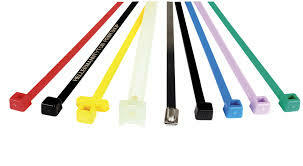 Superlock Cable Ties is the Authorised Distributor & Supplier.